American Independence Day is coming soon, on July 4th. I like dressing up in festive attire and watching fireworks with friends. I've been working on some no-sew project for you all who want quick and easy projects that don't require sewing skills. I have you covered today! I used OlyFun from Fairfield World, which is a fabric that cuts like paper, doesn't fray, and works well with our tool friend hot glue. Adhesive Technologies provided me with an awesome two temp cordless hot glue gun and more hot glue sticks than I'd imagine I'd ever have. The hot glue gun has a cord that can be detached and the gun still works, but I usually keep it plugged in. I keep it on the low-temp setting for OlyFun. I've been making so many wacky headbands over the last few years, that I restocked my headband blanks, so I could keep you all rich in whimsical headwear...and my daughter too. 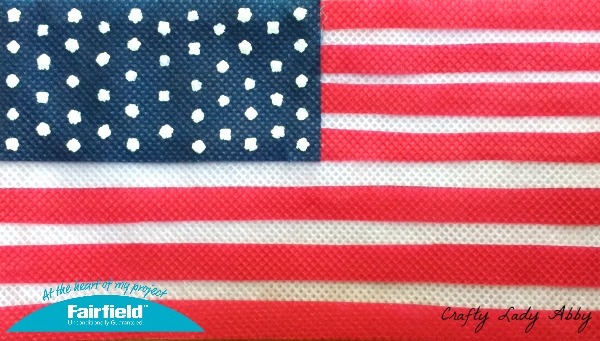 While I used the American Flag for my headband, you can certainly make any flag you wish, for your country of origin. 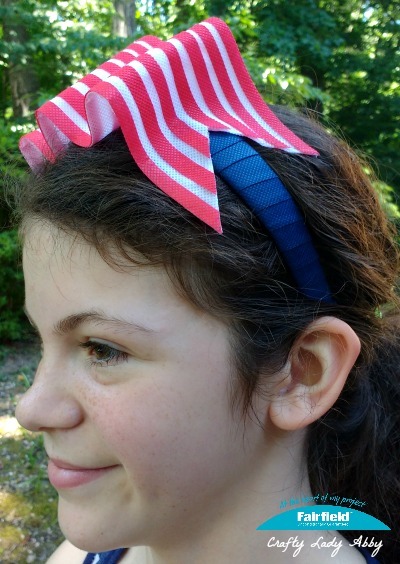 If you want a big patriotic bow, adapt this project for a Oversized Bow Headband, using hot glue instead of sewing. Gosh I ramble a lot. Let's get to making this dang thing. Fairfield World and Adhesive Technologies provided me with their products for this project. Fairfield World paid me to create this project. Some of these links are Amazon Affiliate links. 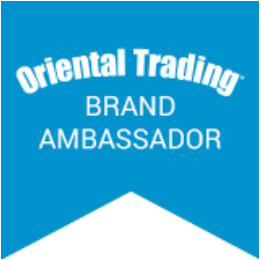 Any purchases using the Amazon Affiliate links, will result in Amazon paying me a small commision. 1) Using the ruler and pencil, draw a 3" x 12" rectangle on Snow White OlyFun twice, and Cherry Pop OlyFun once. Draw a 1.5" by 3" rectangle, and two 2"x2" squares on Twilight. Cut out all shapes. Cut 4-5, 1/2" wide strips from Twilight. 2) Add a hot glue stick to the hot glue gun. Plug in the gun and lay it on the silicone craft mat, while it heats up. I like to turn switch to high, so it heats up faster. Then, I switch it back to low. Any glue that drips on the silicone craft mat can be easily peeled off once the glue is cool. 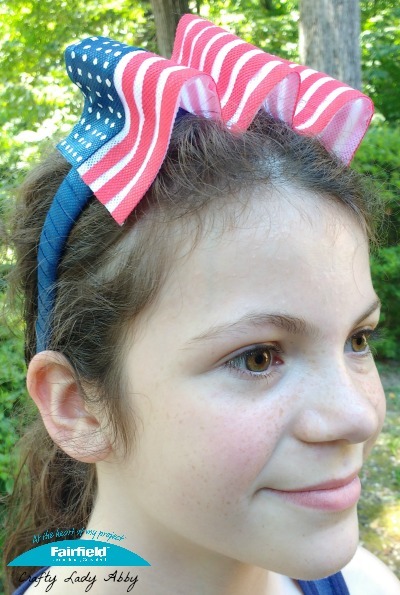 3) On the back of the headband, squeeze a little hot glue at one end, and place a Twilight strip at an upward angle. Add a little hot glue to the front, wrapping the strip onto the glue. Continue wrapping the strip, adding more hot glue to the back with each wrap. The wraps should overlap slightly. Finish the strip on the back, cutting off any excess that would show. Start a new strip on the front, continuing the wrapping until only the headband ends are showing. If this seems confusing check out my Metallic OlyFun New Year's Eve Headband tutorial, which has photos for each wrap step. 4) Fold the Twilight squares in half. Add a little hot glue to the front of a headband end. Center a square onto the glue, with the fold at the headband end. Cut the square at the fold at each side until it touches the headband. square off that cut, so you're left with sides and a tab. Add hot glue to the end back. Fold the square's sides in. Add more hot glue, folding in the tab. Repeat for the other square and headband end. 5) Working in small sections, hot glue the two Snow White rectangles together. Pick a front side. Hot glue the Twilight rectangle to the top left the front white rectangle. Cut the Cherry Pop rectangle into 1/4" wide stripes lengthwise. Hot glue the Cherry Pop stripes onto the front white rectangle, with a white space between each red stripe. There will be four red stripes beside the navy rectangle, and three below the navy rectangle. The top and bottom stripes are red. Fold the striped end in half. Cut it at a diagonal, ending about 2" inward. Hot glue the diagonal end closed if needed. 7) 4" up from the headband end, squeeze some hot glue. 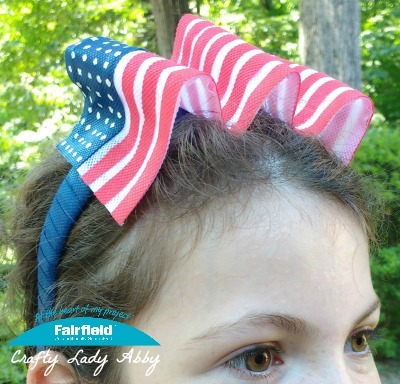 Place the flag star end onto the glue, pressing to smooth out about 1" across the headband. Bend the flag up at an arch. Add more hot glue to the headband about 1" from the previous place. Press the flag dip into the glue. Repeat arching and gluing the flag in this pattern, making sure the ends and curves are secure. Once the hot glue is cooled, the headband can be worn. I hope you all have a fun July 4th in the USA, or just a fun summer in general. 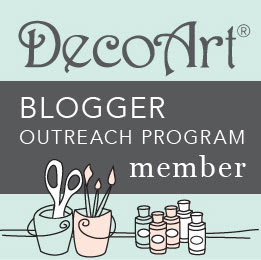 If you want to see the other wacky headbands and other hair adornments I've made head to this Headwear Tutorials List. I have a growing list of tutorial ideas, which are coming up, so make sure to check back regularly for new projects. Happy Makery!